Sendle is one of the more popular carrier integrations in ReadyToShip as there are a number of great features available including free Premium pricing for 12 months when using ReadyToShip and Sendle together, along with flat rate pricing Australia wide. This month we have a number of updates to share regarding our integrations with Sendle. The first is upcoming price changes, including some great looking local satchel rates. 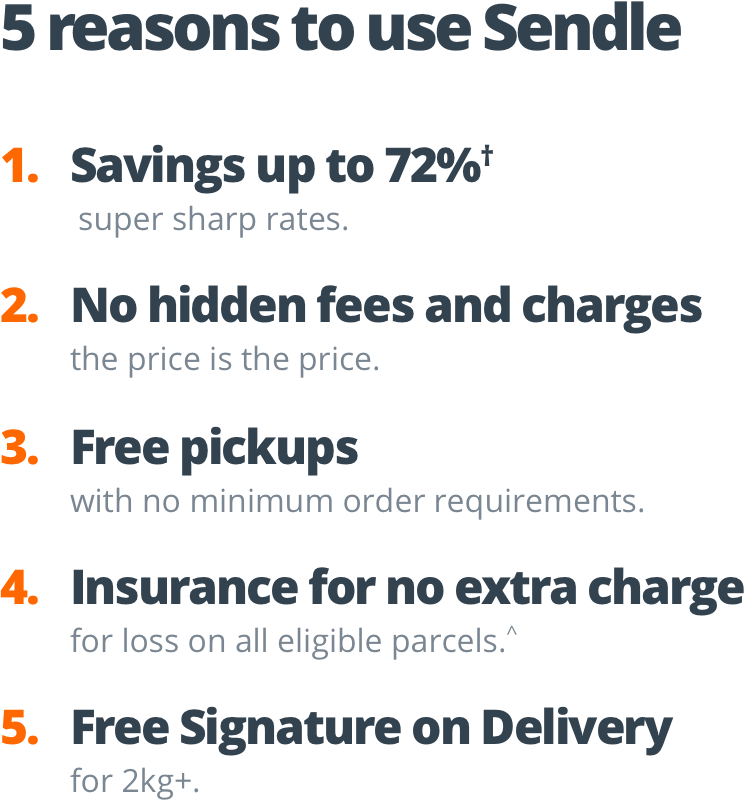 To find out more about the Sendle pricing information below please get in touch with the Sendle business team. Not a Sendle user yet? Signing up is free and easy to do – just click here. Sendle has reduced local satchel rates. For Pro Plan customers our same city 500g satchels are down $1.00 to a super sharp price of $4.75* (ex GST). 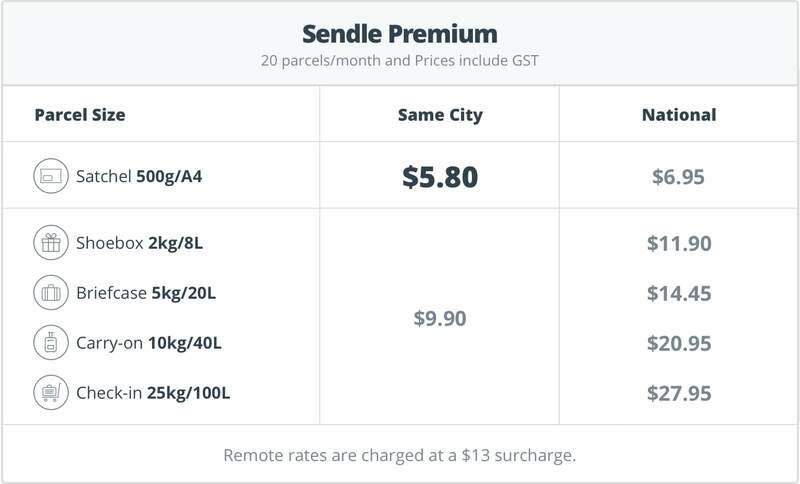 There’s also good news for those on Sendle’s Premium plan, with same city 500g satchel rate discounted by 14% to $5.80 ($5.27 ex GST). If you’d like to access these rates for your business, contact Sendle’s business team. Sendle have adjusted their rates to reflect standard changes in markets and CPI. Some rates have come down, some have stayed the same and others have gone up. Scroll down to see the full rates for each plan. These rates will come into effect on 29th October 2018. To help your business succeed, Sendle developed the Sendle Price guarantee so you can send your 500g satchels, 2kg, 5kg, 10kg and 25kg parcels to Sendle’s same-city and national zones for less than standard Parcel Post rates. 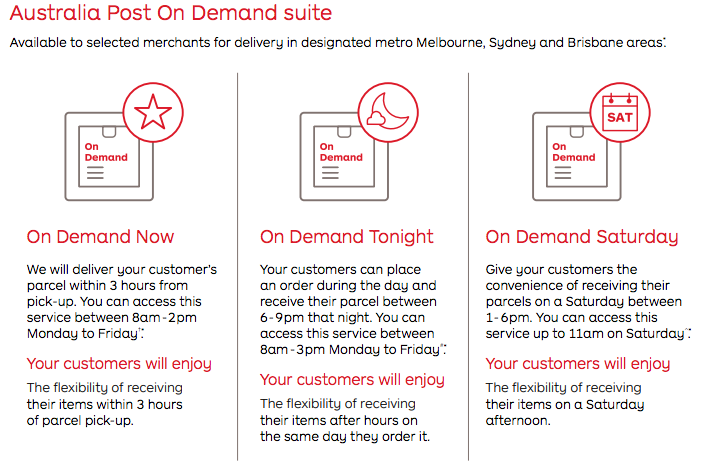 If the standard Parcel Post rate is cheaper, Sendle will beat it. That’s a like-for-like, kilo-for-kilo better price guarantee! For business plans, save 30% to 60%† on same city parcels and save 16% to 72%† on national parcels! 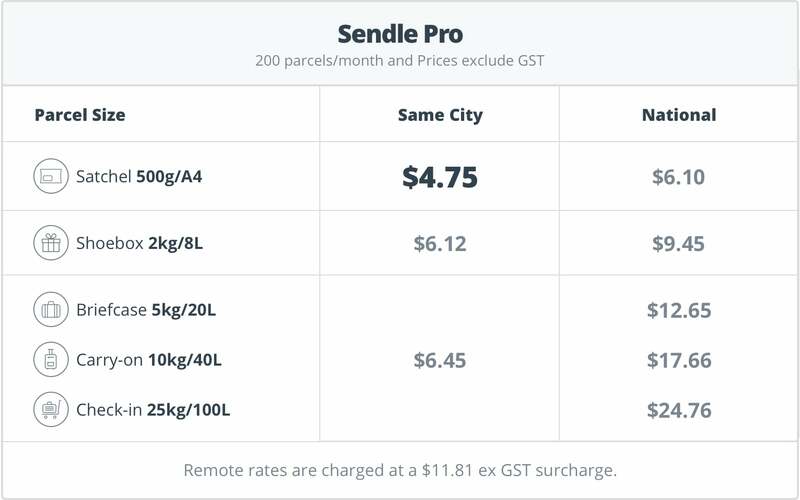 In line with their commitment to simplify, Sendle added a simple $13 surcharge for remote parcels. So even if you’re sending a full 25kgs of love to folks in Ghan, Northern Territory, it’ll still only cost $13 more than the national rate. Aussie goods are going cheap with the dollar at a 2.5 year low, and the good news is, there’s never been better time to start exporting. Sendle maintained their international rates just as they are, so you can compete with the folks overseas. Here are the rates for Sendle’s Easy, Premium and Pro plans. These will come into effect on 29th October 2018. If you want more information, reach out to Sendle’s Business Team, or talk to us here at ReadyToShip on live chat. Using Sendle with Shopify is a easy with a simple integration between these 2 platforms. Connecting Shopify and Sendle allows easy shipping of all of your orders with Sendle and you can see Sendle rates in the ReadyToShip dashboard too. 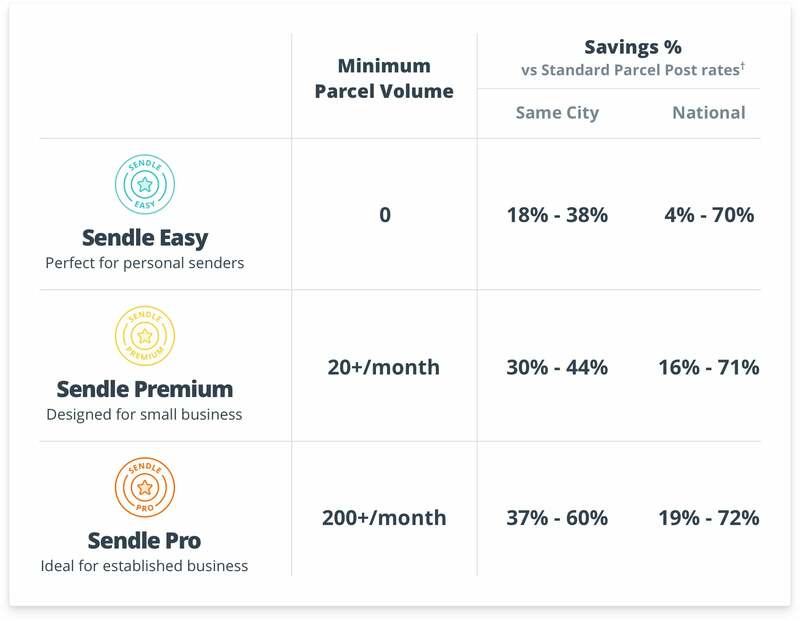 As an extra benefit, when you connect to Sendle via ReadyToShip you get FREE Sendle premium pricing for 12 months (valued at $120). This saves you $1 per shipment sent. ReadyToShip users will also have access to free Sendle premium accounts, saving them a further $1 on every parcel sent. Sendle is a technology-driven delivery service bringing more choice and competition to the market with low, national flat rates, easy parcel tracking and active customer support. Sendle is Australia’s only 100% carbon neutral delivery service. Sendle’s customers in turn will receive three months of free access to ReadyToShip’s sophisticated logistics management software, helping them manage orders, print pick lists, invoices and labels, and send tracking numbers to customers in seconds. The integration opens up even more choices for Australian business owners looking to streamline and automate their shipping services without the budget and resources required for complex software and management systems. Connecting to Shopify is also extremely quick and takes less than 30 seconds. After that, ReadyToShip automatically imports Shopify orders ready for shipping. Then simply select the appropriate Sendle service and print your labels! Want to sell with Shopify? Create a store quickly and simply. This is a question that lots of people ask every day. Starting an online business can be pretty easy, but success doesn’t always come as fast as you hope. I was recently interviewed on a podcast about starting some of our businesses, and we talked a little about how to start an online business and the sort of marketing I would suggest to build an online business and grow it successfully. 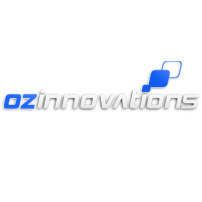 We wanted to announce that we also offer ecommerce and website development services. Leveraging from our own history of ten years + in online retail and development, we started offering development services over 18 months ago. In that time we have built many integrations not only for ReadyToShip customers but for many others as well. We specialise in Magento websites (to learn more about MagentoCommerce click here). We have experienced developers on hand, and can quote on projects from $5k and up. So if you are interested in talking about taking your business to the next level and engaging us in consulting services or development, please get in touch!